Can we open an inlet and flush the lagoon out? 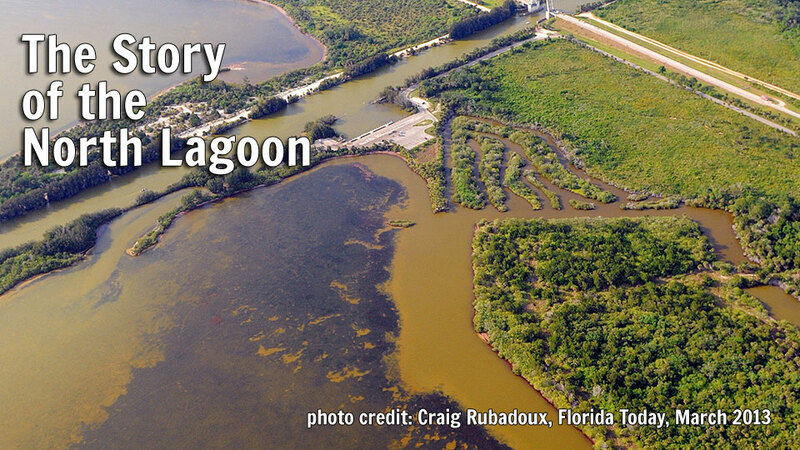 The story of the north lagoon is about decades of pollution discharged into regions of the lagoon that never circulate due to a lack of ocean access. The north lagoon has only two inlets 100 miles apart that connect regions of the lagoon to the Atlantic Ocean. The New Smyrna Inlet located in the Mosquito Lagoon North and the Sebastian Inlet located in the Central IRL North do not generate adequate flow to move nutrients out to sea. These nutrients become more and more concentrated in the north lagoon, causing catastrophic algae blooms, sea grass losses, and the accumulation of muck. Additionally, agricultural ditching, urban development, and flood control channels have increased the amount of water discharged into the north lagoon, contributing millions of pounds of pollutants to the area. Although it is tempting to think that opening a new inlet will solve this problem, predictive models suggest that there would be little impact. Tidal influences would be very localized and may not generate enough water flow to flush the area. Opening an inlet would also send pollution out to our ocean and beaches. Furthermore, it would disrupt the flow of sand reaching the beaches south of it, resulting in costly beach renourishment and inlet dredging projects. That being said, engineers at Florida Tech continue to evaluate this possibility, running simulations to determine its effectiveness. Solving the problems in the north lagoon requires reducing the pollutants that are entering it, restoring the filtration systems that have been removed, and removing the muck that has accumulated on the bottom. There is no easy fix. It took decades of pollution to cause these problems and it will take decades of hard work to solve them.